As a dedicated property investor, you will want an experienced team with a proven track record of property care to maximise your return on investment. The Award Winning team at Quinovic Vivian Street are experienced professionals, who are passionate about providing investors peace of mind and no surprises when managing their most important assets. Quinovic Vivian Street’s outstanding people have over 50 years combined experience. Our people, experience and systems provide professional, effective and reliable residential property management service. There’s no silver bullets in property management, it’s a lot of important steps and tasks that need to be consistently adhered to. This is where our systems are important to assist our team in keeping on top of all the aspects of property management. Our online, real time secure log-in enables you to keep abreast of your property without direct involvement. Beyond the technology, Property Management is about people dealing with people. Our people are available and contactable with answers to the questions you have. Our experienced people and advanced systems ensure your valuable asset is safe and well managed at all times with any repairs and maintenance issues addressed promptly and cost-effectively. extensive condition recording at the start of each tenancy. Manageable portfolio sizes for our property managers, so quality is not compromised. Our tenant management systems, combined with our personal approach, ensure quality, reliable tenants for your property and consistent rental streams. A robust application process for prospective tenants. Maximum bond held (4 Weeks). Extensive chattel lists and photographic records at the start of each tenancy. Emergency response available to tenants 24/7. Fixed term agreements for tenant stability. No fees to tenants for extending their lease agreements. Our financial management systems focus on maximizing your return on your investment while providing the prompt and accurate reporting you and your accountant need. All owner funds are held in a trust account for owner security with prompt payment to owners. Reliable rent collection and rent default procedures. Full financial reporting each month with an annual summary at the end of each NZ tax year. We provide our property owners with online owner access to manage their property. See the video below for a demo of our online management system. 1) I take the time to fully inspect the property and using my experience I then discuss with the client what aspects of their property will help drive the best rental return. 2) I analyse the market for rental rates and put together a rental appraisal that will attract the best tenants and help ensure consistent long term tenancies. 3) Using regular inspections I report on the condition of the property and ensure important maintenance is carried out to protect the value of the asset over the long term. We find with regular inspections tenants also take more care of the property too. "How true your words ring regarding receiving praise from your clients. I thank my lucky stars for you all more often than you’d know. We have a Brisbane townhouse managed that falls way short of the mark. So please all take a bow and know that you are very much appreciated." "We have never in all our working lifetime experienced a company so competent. We live in Australia and we truly can do what we came here to do (relax and surf) knowing without a shadow of a doubt that Quinovic have all the avenues covered." Quinovic Vivian Street is part of the Quinovic Franchise. Quinovic Vivian Street is the trading name for Tamplin Property Services Ltd, and is owned by Jenny Tamplin and Stephen Dacombe-Bird. 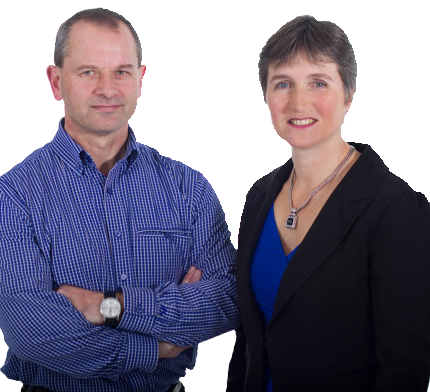 Jenny and Stephen bought the Vivian Street franchise in 2007, have been property investors since 2001 and are firm believers in the ability of residential property to build wealth and security over time. Our mission is to provide consistent, quality property management and to be a leader in the levels of service we provide. We have developed an office ethos based around the QUINOVIC letters as follows. Are you interested in letting out your property?